Home Recipes Buddha Bowl is so in! You might have heard this term a hundred times and you still wonder what it means! A Buddha Bowl is a gorgeous salad that contains the nutritional value of a complete and healthy meal. You can personalize it the way you want. If you are looking for great inspirations, Instagram and Pinterest offers thousands of pictures of this healthy meal option! What are the tips for a perfect Buddha Bowl? 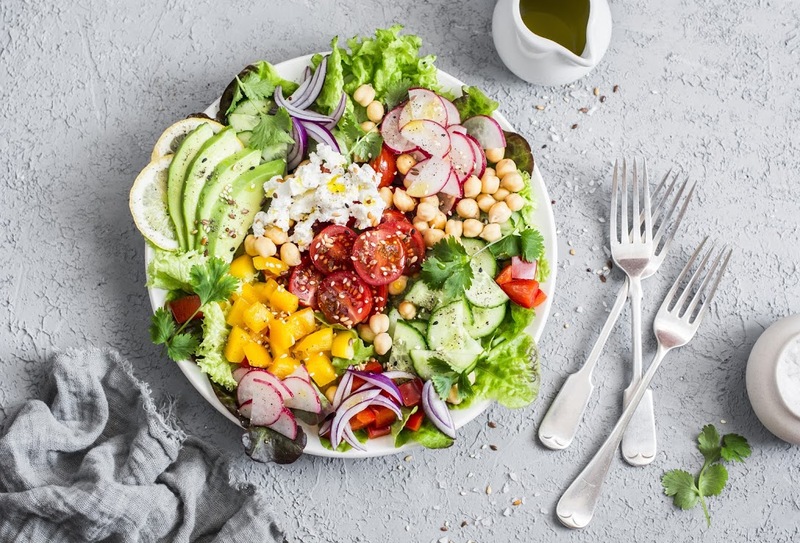 Balance your bowl by including foods of the major categories: greens (of course), other veggies, animal or plant-based proteins, whole grains, a dressing and your favorite toppings! Don’t forget the colors! Think of a rainbow when you prepare your bowl. Each color brings its own health benefits. If you want to know more about this, I suggest you to read my blog “Eat colorfully”. What are some examples for each major category? If you’re new to the Buddha Bowl trend, don’t worry, it is super easy! I have prepared one for you as an example! Check out more from Delphine here. 2 tablespoons white balsamic vinegar, salt and pepper.